Memphis Fox affiliate WHBQ-TV has launched a new set that incorporates portions of one of its corporate cousins’ former homes. 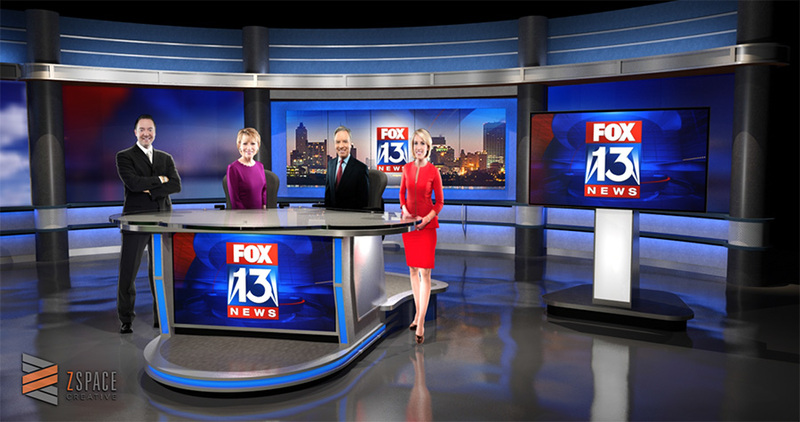 WHBQ-TV, which is owned by Cox Media Group, reused the main anchor area walls from WFTV-TV, the station group’s ABC affiliate in Orlando, Fla.
WFTV-TV debuted a complete set overhaul in August 2015 and portions of the former set were shipped to Memphis for retrofitting by Z Space Creative to create a unique, new space for Fox 13. The updated set swaps out motorized cityscape duras for a 5×1 55″ array of vertical flat panels camera center, while the side rear projection screens have been replaced with translucent panels and 37.5mm LED curtains, allowing a variety of color changes for stories and events. Technology on the project was handled by AV Design Services. 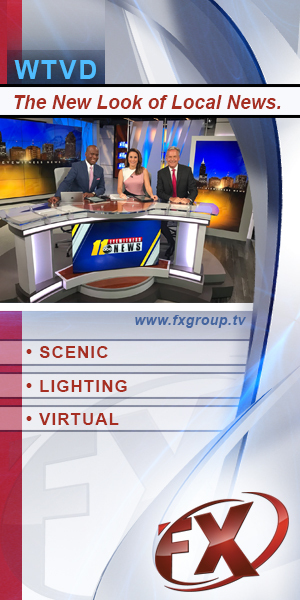 The set also received a new anchor desk and weather center, along with a 84″ touchscreen for use by reporters and weathercasters. The wood tones from when the set walls were at WFTV-TV have also been swapped out in favor of a light gray finish, while portions of the columns and headers are now dark gray. Meanwhile, certain themes such as the decorative metal brackets in the set’s knee walls, have been replicated in the weather center, with downlighting added. WHBQ-TV previously used the standard Fox O&O-style set.